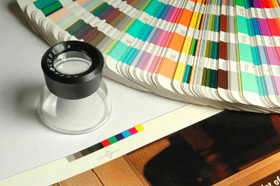 Graphic Impressions is a family-run printers offering a comprehensive range of printing, graphic design and business services. From our unit in Chelmsford we work with companies based all over the UK producing jobs of all sizes. We offer a comprehensive list of printing services, including full colour brochures, company letterheads, business cards, menus and small fiddly jobs not all printers are in a position to undertake. In addition to our commercial printing services we can also cater for private clients who may just need party invitations or wedding stationery. I have used Graphic impressions for a number of years for a range of artwork and for publications. They always deliver on time, within budget and provide a great service.